September 2016 – There is just something cute about little girls playing with large dogs. The animals seem to know the gentleness of the child and respond in kind. 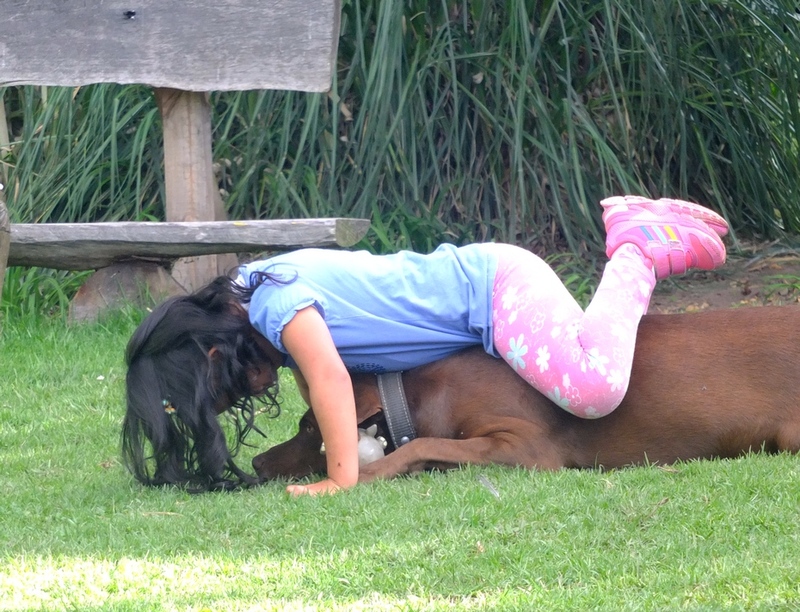 This is Valentina, the 5 year-old daughter of our housekeeper, playing with our dog, Corzo. Despite the dog’s well-earned reputation of aggressive protection of the property Valentina can do anything she wants to Corzo and he seems to enjoy the attention. But I can also tell you that the girl is protected when the dog is around. Any stranger wishing to do her harm will find 90 pounds of angry dog in their face.